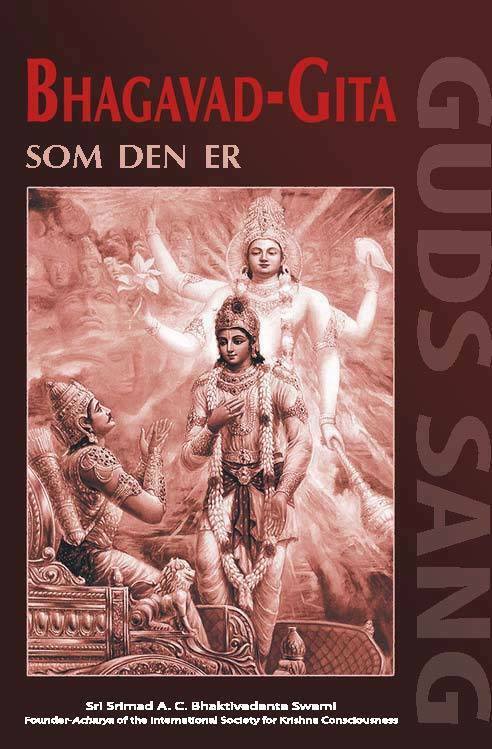 Here in Denmark we have a “new” version of Srila Prabhupada’s Bhagavad-gita As It Is (supposedly), coming up. One of the editors, Jahnu/Jahnudvipa prabhu, publicized his suggestion for a front cover (pictured below). As everyone can see, by comparison, it is different, in so many ways, from Prabhupada’s Bhagavad-gita As It Is. This is a local example, but from research on the Internet, it is easily seen how widespread this corruption is. 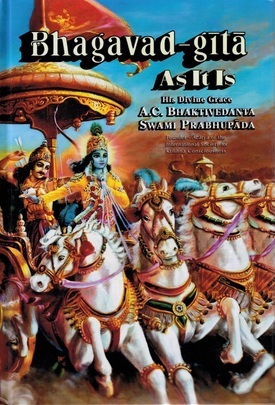 A subsequent “debate” on editor Jahnu’s suggestion of a Bhagavad-gita cover was quickly censored, including Jahnu’s picture. The topic was banned, as there is a stricture on that facebook forum (Krishna.dk) not to bring up “institutional”, “controversial” or “negative” material. The idiotic irony is that bringing up the topic is “controversial” and forbidden – but DOING these things, changing the books, is fine. Bhagavad-gita is not spelled with capital “G” in “gita, but with a small “g”. Over the “i” and the “g” there should be a line. That could be excused if this is not the final version, and the sanskrit will be added later. On the original it says “As It Is”. In Jahnu’s this is changed to only capital letters “SOM DEN ER”. Regarding the artwork itself. 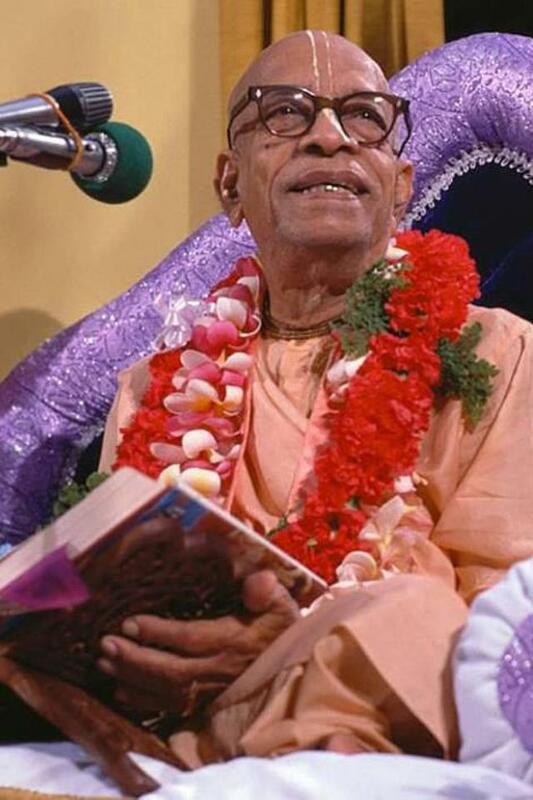 Prabhupada was happy about the front cover of his 1972 edition. He approved it. He never asked for it to be changed at any point. The original cover is shining, it gives the impression of heroism, chivalry and fighting for the right cause. The colors on Jahnu’s cover is dark, boring and depressing. Prabhupada said that if a painting should be changed it should be the exact same scene, but made better (read more about this here). On Jahnu’s cover we find a different scene, and the dark and depressing colors certainly does’nt make it better. I find it truly astonishing how a BBT International editor like Jahnu, who has been working for BBT(I) for more than 20 years, doesn’t know or care about the clear instructions from Srila Prabhupada regarding front covers, artwork and text-editing. The amount of speculation Jahnu puts into his cover is amazing.